PROOF Centre’s Chief Informatics Officer, Dr. Raymond Ng, will be at the European Conference on Machine Learning and Principles and Practice of Knowledge Discovery in Databases in Nancy, France from September 15th to 19th, 2014. If you are attending one of the following events and would like to meet with a member of the PROOF team, please send us an email at proof@hli.ubc.ca with your request. Every so often the staff will get together to celebrate life. Below are a few pictures from one such after work mingler in Yaletown. 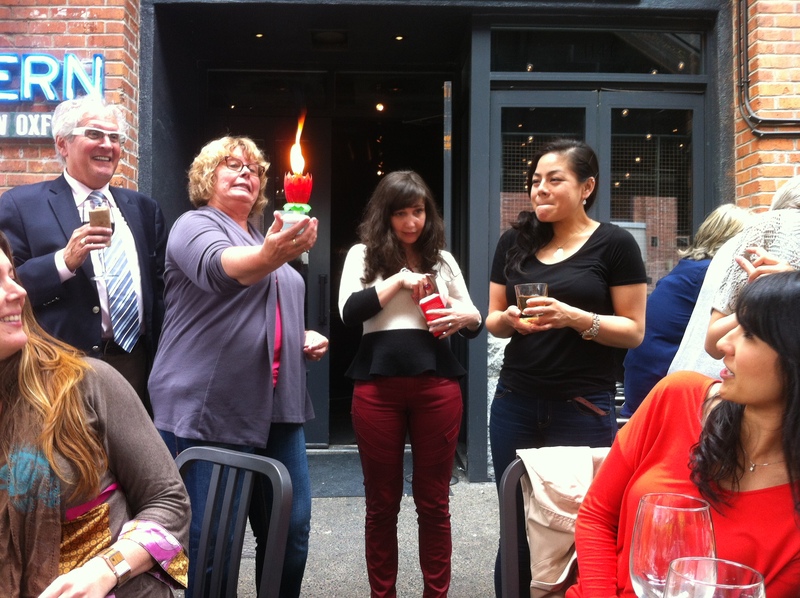 Before: Staffers unsure about the flame growing on the birthday candle. Members of the PROOF Centre team will be attending the BIO International Convention (BIO 2014) in San Diego this month, and participating in the BIO One-on-One Partnering sessions which run from June 24th to 26th. We’re giving away 5 FREE passes to the Exhibit Hall at the American Thoracic Society ATS 2014 International Conference.